Asteroids may be made of rock and metal, but they’re still breakable. A team of astronomers used images from the Hubble Space Telescope to study the asteroid P/2013 R3, which recently fragmented into 10 or more pieces. Four images of P/2013 R3 taken with the Hubble Space Telescope on four different dates. The asteroid fragments into more and more pieces with time and the separations, positions, and brightness of the pieces change as well. Image courtesy of David Jewitt. “This is a rock. Seeing it fall apart before our eyes is pretty amazing,” said David Jewitt, a planetary scientist at the University of California, Los Angeles who led the study. The orbit of P/2013 R3 shows that it is a so-called main-belt asteroid, which means that it orbits along with millions of other asteroids in a ring between Mars and Jupiter. The asteroid has the designation of a comet – P/2013 R3 – because it was discovered to be ejecting dust like a comet. Jewitt and his collaborators used the 10 m Keck telescopes in Hawaii to obtain follow-up images of P/2013 R3. The team was surprised to find that the asteroid was composed of multiple pieces. Astronomers haven’t seen any other main-belt asteroids breaking up, although some research suggests that other asteroids may have fragmented millions to billions of years ago. Jewitt and his colleagues then pointed the Hubble Space Telescope toward P/2013 R3 to reveal the highest resolution images yet of the asteroid and its debris field, tracing details as small as about 80 km. The data showed that P/2013 R3 was composed of even more pieces than originally thought. Furthermore, Hubble images obtained several months apart revealed that the asteroid was in the process of fragmenting into new pieces, the largest of which were about the size of two football fields. Astronomers hypothesize that P/2013 R3 may have fragmented not because of a collision with another asteroid – asteroids are in fact widely separated from one another, contrary to what’s shown in popular Hollywood movies – but rather because of the effects of sunlight. “The pressure of sunlight is extraordinarily weak,” said Jewitt “so it’s astonishing to think that it can break up an asteroid.” Light from the Sun exerts a force on the surface of the asteroid. If the force does not pass through the asteroid’s center of mass, the asteroid can start to spin. Over millions of years, the spin rate of the asteroid increases until the centripetal acceleration on the asteroid’s surface exceeds the gravitational acceleration holding the asteroid together. The force of centripetal acceleration, paired with cracks in the asteroid caused by ancient collisions with other asteroids, may have resulted in the fragmentation of P/2013 R3. 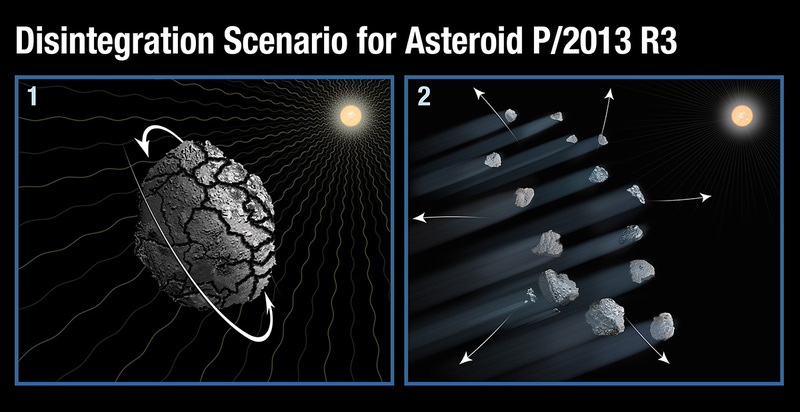 Artist’s impression of how sunlight caused asteroid P/2013 R3 to spin and ultimately resulted in its fragmentation. 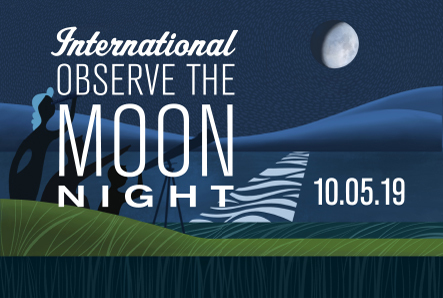 Image courtesy of NASA, ESA, and A. Feild (STScI). Observations of the disintegration of P/2013 R3 are important for revealing how sunlight can affect the dynamics of asteroids. Theorists have predicted the breakup of asteroids due to the force of light, but light-induced disintegration has not been seen before. The fragmentation of P/2013 R3 is a test case for how the cumulative effect of sunlight, over millions of years, can shatter a rocky asteroid. About the author: Katherine Kornei received her Ph.D. in astronomy in 2012 and works as a science writer in Portland, OR. 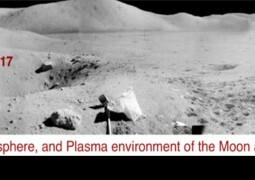 This special volume covers the Dust, Atmosphere, and Plasma Environment of the Moon and Small Bodies workshop, held Jan 11–13, 2017 in Boulder CO.